Growing a dental practice is not a one-step process. There are a variety of different factors which can affect growth, making it important to take a step back and evaluate your practice in its current state. If you’re a solo practice owner or partner in a small group practice, consider the following questions before making your next move. Does your practice have a referral system in place? Dental Smiles Unlimited in Bronx, New York, is a dentistry with five dentists. Each of them has a different specialty, allowing them to refer one another and keep most patients in-house. 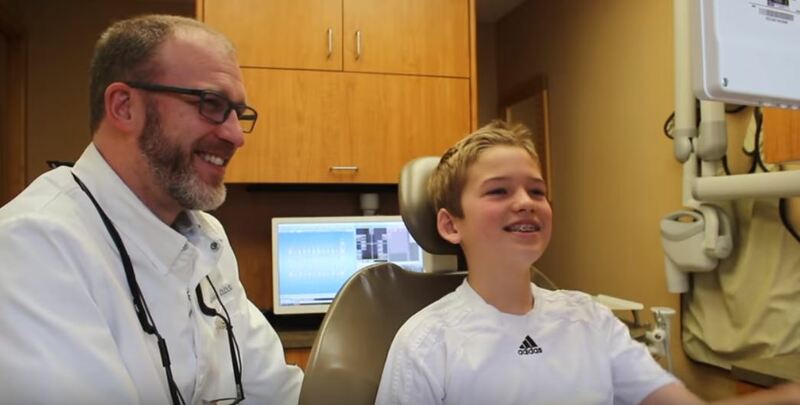 Paul Williams, the dentist who runs Dental Smiles Unlimited, averages 55-75 new patients per month through promoting internal referrals and searching out external referrals. Internal Referrals: These are referrals created by your current patient base. For example, if one of your current patients has had a positive experience at your practice, they may refer their family members and/or friends to your practice. A way to promote internal referrals is by providing incentives to your patients. Paul Williams does this by sending a handwritten ‘thank you’ card to each patient who refers someone to his practice. External Referrals: External referrals are referrals which come from other dentists and oral-related practices. It’s common for a dentist to a refer a patient elsewhere when the patient is moving to a new area or needs a service their current practice doesn’t offer. To help build up your external referrals, it’s important to establish relationships with other dentists. You can do this by attending dental conferences, reaching out to dental professionals on LinkedIn, or simply setting up a coffee chat. Remember though that external referrals are a two-way street. Ideally, dentists should mutually benefit from external referrals. Do you have a good front office presence? First impressions matter, even in the world of dentistry. If your front office is old and out-of-date, try to make it look a little more modern and inviting. This is because the front office is the first thing new patients see and the first place they interact with your staff. Train front desk staff to be personable and friendly – creating a warm and positive atmosphere. How your staff interact with patients is the most important factor on that list. Friendly and personable staff will leave a much more positive impression on patients than staff who are seemingly uninterested or impersonal. If necessary, implement training sessions to bring the whole team to the same page. Do you and your staff put the patient first? Create a patient-first culture. The way staff behave and interact with patients matters. Make sure your team is taking the necessary time to listen to patients and clearly explain their oral condition or treatment plan to them. This will help establish strong relationships with your patients. In many practices, dentists prioritize efficiency over patients’ overall experiences. While this may get more patients in and out of the operatory, it’s not always a good strategy in the long run. Patients who feel a personal connection to their dental office and whose needs are met are more likely to have a positive experience and leave a good review. For more information about putting patients first and building relationships with them, check out the following article: Advancing relationships in a fast-paced world. Are you a leader in your practice? A leader’s role in a dental practice is to inspire and encourage staff to work toward a common goal. One way of doing this is to be open and attentive towards staff members’ ideas and suggestions. If a staff member raises a concern or has a good idea on how to improve the practice, try to work with them to make the necessary adjustments. Growing a business is not an easy task, it will take the entire team to do it. Do you have a digital presence? In today’s digital world, it’s important to have a strong online presence. Two important areas to focus on are your website and social media channels. Website: In a study published by Blue Corona, researchers found nearly 48% of people determine the credibility of a business by its website design. What that means for dental practices is that simply having a website isn’t enough in today’s market. Your website needs to be clean, easy-to-navigate, and have a professional look and feel. Make sure your website’s message is clear too. Patients should be able to quickly look at it and tell who you are, what your service is, and how they can make an appointment. Social Media: Social media is a great way to build a personal connection with your patients, as well as drive traffic to your website. Some ways to do this include creating a Google or Facebook ad campaign, publishing regular articles on a blog, or even hosting a community event and marketing it online. One thing to keep in mind with social media though is it needs to be worked on and updated regularly in order to remain relevant. Assign social media to one of your employees as a weekly work task for consistent results. Do you have premium-quality dental monitors? Many operatories use regular consumer monitors which aren’t suited to the dental operatory. Consider switching to a premium-quality dental display like DENclarity. It has a high brightness screen, carefully-calibrated grayscale for distinguishing the fine differences in X-rays, and a watertight screen which won’t be damaged from water spray.